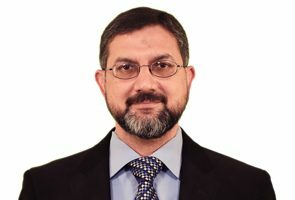 Dr. Adnan holds a PhD in Computer Engineering from the Sapienza University of Rome, Italy. He has also been a post-doc researcher in the same university twice. He has published more than 21 papers in refereed conferences and journals. According to Google Scholar, his research papers have been cited more than 189 times. Broadly his research interests include wireless sensor and ad hoc networks, Internet of Things (IoT), distributed algorithms, mobile and distributed systems, and cloud computing. Currently, he is working on algorithms for finding efficient virtual LAN topologies, opportunistic networks, heuristics for dial a ride problem, applications of random walk in large-scale wireless sensor networks and exploiting EFI vehicle’s sensors using onboard diagnostics. He is the member of midlab (middleware laboratory) of Department of Computer Science and Engineering, Sapienza University of Rome and works closely with Prof. Roberto Baldoni and Dr. Roberto Beraldi. In addition to research, he is also assisting the research community by serving in a number of technical program committees of national and international conferences and reviewer of many international journals and government project proposals. Dr. Adnan is an HEC PhD approved supervisor. He has been mentoring a number of MS and PhD computer science students. He has taught a variety of courses at graduate and undergraduate level including Internet of Things (IoT), Advanced Topics in IoT, Parallel and Distributed Algorithms, Special Topics in Networks, Distributed Systems, Computer Networks, Digital Logic Design and Electronics at places like National University of Computer and Emerging Sciences (FAST-NU) Lahore, Sapienza University of Rome and Aitchison College, Lahore. For details please view the CV below. Roberto Beraldi, Abderrahmen Mtibaa, Adnan Noon Mian, “CICO: A Credit-based Incentive Mechanism For COoperative Fog Computing Paradigms”, proceeding of Globecom 2018, Internet of Things Symposium (SAC-IoT) (Accepted). Usama Masood, Ahmad Asghar, Ali Imran and Adnan Noor Mian, “Deep Learning based Detection of Sleeping Cells in Next Generation Cellular Networks”, proceeding of Globecom 2018, Communication QoS, Reliability and Modeling Symposium (CQRM) (Accepted). Umar Bin Farooq, Umair Sajid Hashmi, Junaid Qadir, Ali Imran and Adnan Noor Mian, “User Transmit Power Minimization through Uplink Resource Allocation and User Association in HetNets”, proceeding of Globecom 2018, Green Communication Systems and Networks Symposium (GCSN) (Accepted). Raees Khan and Adnan Noor Mian, “Supporting High Data Rate Sensing Applications in Internet of Things (IoT)”, International Journal of Grid and Distributed Computing, 2018, Accepted for publication. Saqib Rasool, Afshan Saleem, Adnan Noor Mian, Poster: "RQL: REST Query Language for Converting Firebase to a Mobile Cloud Computing Platform", Proceedings of the 23rd Annual International Conference on Mobile Computing and Networking (ACM MobiCom '17), held in Snowbird, Utah, USA from 16-20 October 2017. Sheeraz A. Alvi, Fakhar Hassan, Adnan Noor Mian, “On the Energy Efficiency and Stability of RPL Routing Protocol”, proceedings of the 13th IEEE Wireless Communications and Mobile Computing Conference (IWCMC 2017) held from 26-30 June 2017, Valencia, Spain. Sheeraz A. Alvi, Adnan Noor Mian, “On Route Maintenance and Recovery Mechanism of RPL”, proceedings of the 13th IEEE Wireless Communications and Mobile Computing Conference (IWCMC 2017) held from 26-30 June 2017, Valencia, Spain. Adnan Noor Mian, Tayyaba Liaqat and Abdul Hameed, “A Fresh Look into the Handoff Mechanism of IEEE 802.11s under Mobility”, proceedings of the 86th IEEE Vehicular Technology Conference (VTC2017-Fall) held from 24-27 September 2017, Toronto, Canada. Adnan Noor Mian, Amina Fahim and Abdul Hameed, “Evaluating the Impact of Spatio-Temporal Factors on Construction Heuristics for Transportation Services”, Transportation Journal, 2016, Penn State University Press. Abdul Hameed, Adnan Noor Mian, Junaid Qadir, “Low-cost Sustainable Wireless Internet Service for Rural Areas”, Wireless Networks, Springer, 2016. Adnan Noor Mian, Sheeraz A. Alvi, Raees Khan, Muhammad Zulqarnain, Waleed Iqbal “Experimental Study of Link Quality in ZigBee using Z1 Motes” in the IEEE Wireless Communications and Mobile Computing Conference (IWCMC 2016) to be held from 5-9 September 2016, Paphos, Cyprus. Adnan Noor Mian, Farah Amjad, Abderrahmen Mtibaa, Hussein Alnuweiri, "Cooperative and Collaborative Forwarding in Heterogeneous Mobile Opportunistic Networking", in the IEEE Wireless Communications and Networking Conference (IEEE WCNC 2016), 3-6 April 2016, Doha, Qatar. Abdul Hameed, Adnan Noor Mian, "Towards Better Traffic Localization of Virtual LANs Using Genetic Algorithm", The Computer Journal, British Computing Society, Oxford University Press : Advance Access, doi:10.1093/comjnl/bxv088 (IF=0.787). Abdul Hameed, Adnan Noor Mian, Returning to Strong Components for Identification of Nodes Grouping in the LAN, Baltic J. Modern Computing, Vol. 3 (2015), No. 2, pp. 73–91. Adnan Noor Mian, Abdul Hameed, Muhammad Umar Khayyam, Farooq Ahmed, Roberto Beraldi, Enhancing Communication Adaptability between Payment Card Processing Networks, IEEE Communications Magazine, Communications Standards Supplement, March 2015. (IF=4.5). Adnan Noor Mian, Ali Mamoon, Raees Khan, Ashiq Anjum, "Effects of Virtualization on Network and Processor Performance using Open vSwitch and XenServer" in the 7th UCC 2014 IEEE/ACM International Conference on Utility and Cloud Computing, UCC 2014, December 8-11, London, UK. Adnan Noor Mian, Mehwish Fatima, Raees Khan, Ravi Prakash, An Empirical Evaluation of Lightweight Random Walk based Routing Protocol in Duty Cycle Aware Wireless Sensor Networks, The Scientific World Journal, Volume 2014, Special Issue “Next-Generation Internet and Communication”, Article ID 946249, 9 pages, http://dx.doi.org/10.1155/2014/946249, Hindawi Publishing Corporation, 410 Park Avenue, New York, NY 10022, US. (IF=1.7). Adnan Noor Mian, Ishrat Fatima and Roberto Beraldi, “Traffic Density Estimation Protocol using Vehicular Networks”, Accepted for the 9th International Conference on Mobile and Ubiquitous Systems: Computing, Networking and Services (MOBIQUITOUS 2012) held in Beijing, China from December 12-14, 2012. Abdul Hameed, Adnan Noor Mian, “Finding Efficient VLAN Topology for Better Broadcast Containment”. proceedings of the Third International Conference On the Network of The Future (Nof 2012) held in Tunis, Tunisia from November 21-23, 2012. Muhammad Kamran and Adnan Noor Mian. "Multiple Fault Tolerance in MPLS Network using Open Source Network Simulator", proceedings of the "4th International Conference on Open Source Systems and Technologies (ICOSST-2010)", December 22-24, 2010, Al-Khawarizmi Institute of Computer Science, University of Engineering and Technology, Lahore, Pakistan. Adnan Noor Mian, Roberto Beraldi and Roberto Baldoni, “A Robust and Energy Efficient Protocol for Random Walk in Ad hoc Networks with IEEE 802.11”, International Journal of Parallel, Emergent, and Distributed Systems (IJPEDS), Volume 25 Issue 5, 363, August 18, 2010, Taylor & Francis Publisher, U.K, DOI: 10.1080/17445760902779210, ISSN 1744-5760. Adnan Noor Mian, Roberto Baldoni, and Roberto Beraldi, "A Survey of Service Discovery Protocols in Multihop Mobile Ad Hoc Networks," IEEE Pervasive Computing, Volume 8, no. 1, pp. 66-74, Jan.-Mar 2009, DOI: 10.1109/MPRV.2009.2, ISSN 1536-1268, (2009 IF=2.293). Adnan Noor Mian, Roberto Beraldi, Roberto Baldoni. "Identifying Open Problems in Random Walk based Service Discovery in Mobile Ad hoc Networks". Published in Lecture Notes in Informatics (LNI), Volume 165, pp 91-102, June 2010, Gesellschaft für Informatik (GI) publishers, Bonn, Germany, ISSN 1617-5468. Adnan Noor Mian, Roberto Beraldi and Roberto Baldoni, “On the Coverage Process of Random Walk in Wireless Ad hoc and Sensor Networks”, proceeding of The 7th IEEE International Conference on Mobile Ad-hoc and Sensor Systems (IEEE MASS 2010), November 8-12, 2010, San Francisco, CA, USA. Adnan Noor Mian, Roberto Baldoni and Roberto Beraldi, “An Adaptive Random Walk for Ad hoc and Sensor Networks”, Proceedings of Sixth Workshop on Wireless Ad hoc and Sensor Networks (WWASN 2009) in conjunction with the 29th International Conference on Distributed Computing Systems (ICDCS 2009) held in June 22-26, 2009 in Montreal, Canada. Adnan Noor Mian, Roberto Beraldi and Roberto Baldoni, “An Efficient Biasing Strategy for Random Walk in Wireless Ad Hoc Networks”, proceedings of IEEE International Wireless Communications and Mobile Computing Conference (IWCMC) 2008, held in August 6-8, 2008, in Crete Island, Greece. Adnan Noor Mian, Roberto Beraldi and Roberto Baldoni, “A Robust and Energy Efficient Protocol for Random Walk in Ad Hoc Networks with IEEE802.11, Proceeding of Performance Modeling, Evaluation, and Optimization of Ubiquitous Computing and Networked Systems (PMEO) workshop of 22nd IEEE International Parallel and Distributed Processing Symposium (IPDPS 2008), Miami, US in April 2008. Adnan Noor Mian, Roberto Beraldi, and Roberto Baldoni, “Identifying Open Problems in Random Walk based Service Discovery in Mobile Ad hoc Networks”, In the 6th International Workshop on Innovative Internet Community Systems (I2CS 2006) Neuchâtel, Switzerland from June 26-28, 2006. Adnan Noor Mian, Roberto Beraldi, and Roberto Baldoni, “Service Discovery in Mobile Ad Hoc Networks”, In the proceedings of Third MiNEMA (Middleware for Network Eccentric and Mobile Applications) Workshop held in held in Katholieke Universiteit Leuven, Belgium from February 7-8, 2006. Adnan Noor Mian, Roberto Beraldi, and Roberto Baldoni, “Survey of Service Discovery in Mobile Ad Hoc Networks”, Technical Report, August 2006, Dipartimento di Informatica e Sistemistica “Antonio Ruberti”, University of Rome, "La Sapienza", Rome, Italy. Roberto Baldoni, Adnan Noor Mian, Sirio Scipioni, and Sara Tucci-Piergiovanni, “Churn Resilience of Peer- to-Peer Group Membership: A Performance Analysis”, In the 7th International Workshop on Distributed Computing (IWDC), Kharagpur, India, December 27-30, 2005. Published in Lecture Notes in Computer Science (LNCS), Springer Berlin / Heidelberg, Volume 3741 / 2005, pp. 226 – 237, DOI 10.1007/11603771_26, ISSN 0302-9743, (LNCS 2005 IF=0.4). 2014 IEEE Wireless Communications Magazine. 2013 WINET-Springer Journal Wireless Networks. 2012 Wireless Networks, The Journal of Mobile Communication, Computation and Information, Springer, (IF 0.520). 2011 Concurrency and Computation: Practice and Experience, John Wiley & Sons, Ltd (IF 0.636). 2010 Journal of Supercomputing, Springer, (IF 0.578). Higher Education Commission (HEC), Pakistan approved PhD Supervisor. Member of Midlab (Middleware Laboratory) of the Department of Computer Science and Engineering, Sapienza University of Rome, Italy. Director ITU Internet of Things (IoT) Lab.